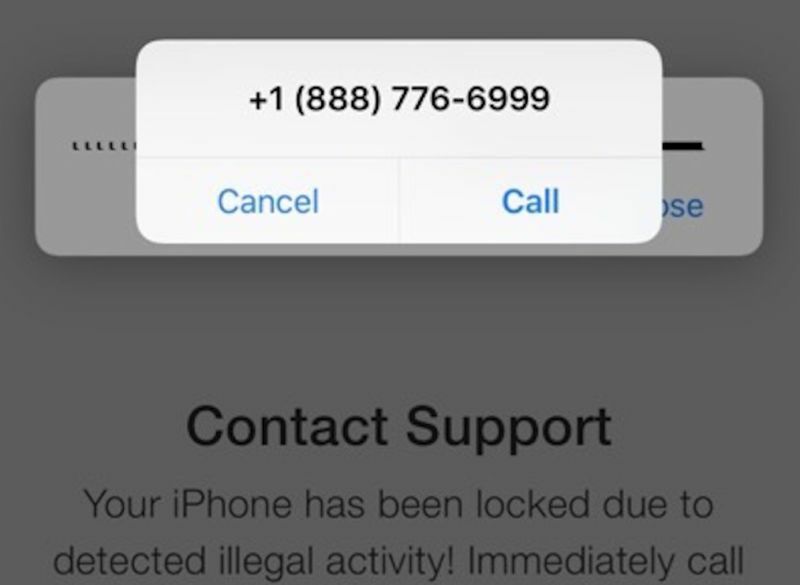 According to a new report from Ars Technica, a new phishing scam is targeting Apple iOS users. The report notes how a fake Apple website used a system dialog pop-up box to prompt a user to call “Apple Care”. This attempt is targeting the email address associated with the user’s iCloud account by emailing a “critical alert” for a blocked sign-in attempt. The email then links to a page that is owned by the scammers. If you were to click that link, you would be taken to a page that is disguised as Apple’s support website. However, you don’t get to go too far on this website as you will almost immediately get a pop-up prompting you to call Apple Care. Once the user is connected to a “support” team member, they will attempt to collect your personal information. Phishing attacks are not anything new, but this one takes it a step further with actual fake support representatives trying to get users to divulge personal information. Please be aware of these attempts to collect personal and sensitive information, because if it looks or sounds suspicious, then it probably is!